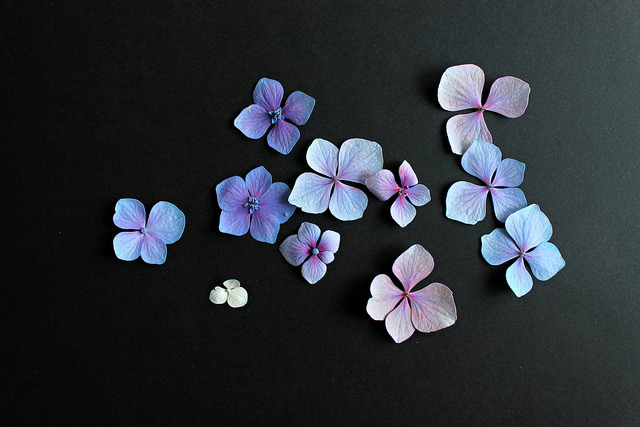 As you probably know, I do love using flowers and other natural finds to make pictures. I love arranging them into neat patterns or pretty designs before photographing them. 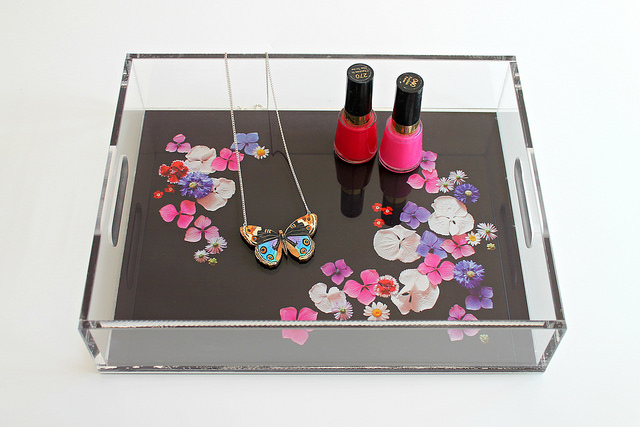 I'd had an idea of making a tray decorated with a floral design for a while now. 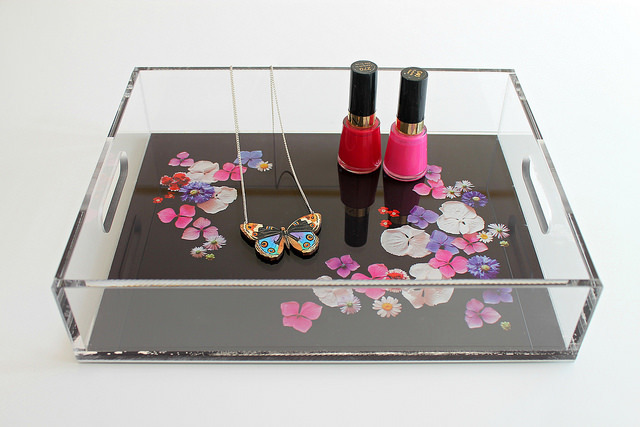 I'd thought about the possibility of using resin to create a protective layer over pressed flowers, but when I saw these acrylic trays from Tiny Prints I knew it would work perfectly for what I had in mind. Using a photograph printed on to the tray in this way, meant I was able to create a design with a little more depth and was able to mess about with the layout and editing of the picture until I was happy with the end result! I'm loving hydrangea flowers lately and their variations of colour, so I used mostly those and a few other bits picked from the garden too! I cut a piece of black card twice the size of the finished tray to use as my base. 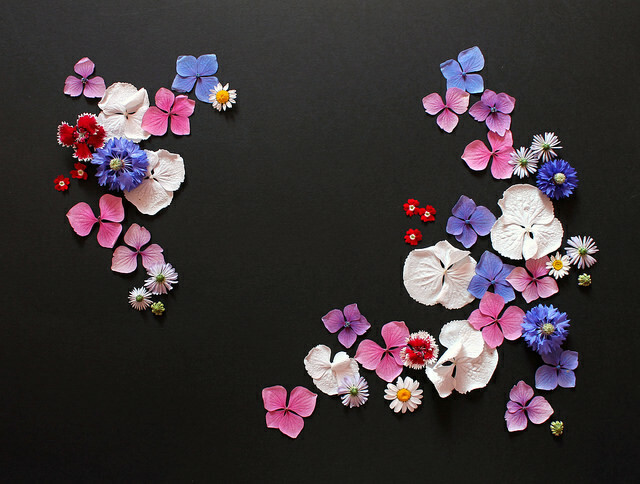 I then started chopping and arranging the flowers to make a fairly busy design, but with plenty of white space also. 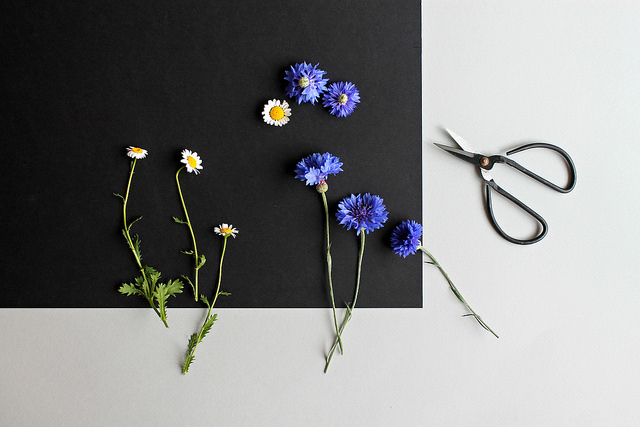 I placed the cornflowers and a couple of other flowers upside down so I could get them to sit straight. This was the finished photograph once I'd faffed around with the positioning of the flowers. And this is the final tray! I love how it turned out and how vivid all the colours are against the black. 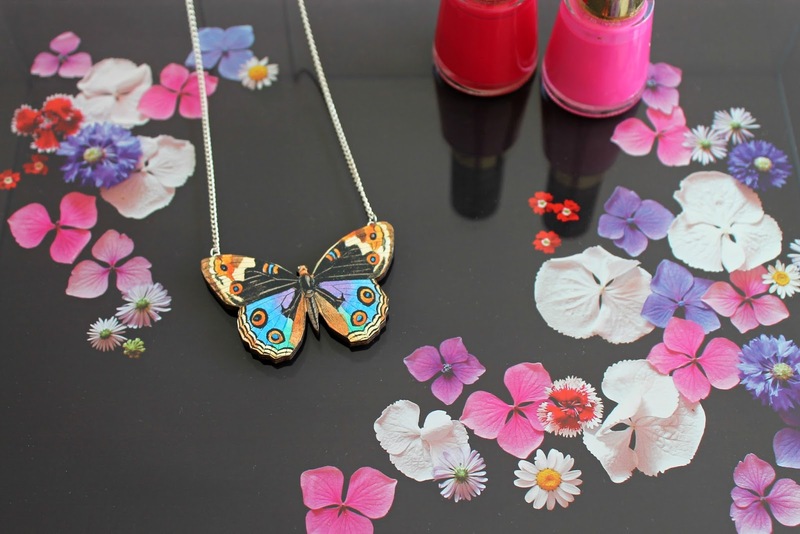 I think it would make a great place to keep jewellery and trinkets or for make-up! That's so pretty! I love the way the colors look against the black. beautiful! it looks especially striking with that black background.